We're pleased to re-introduce our popular dining set packages. 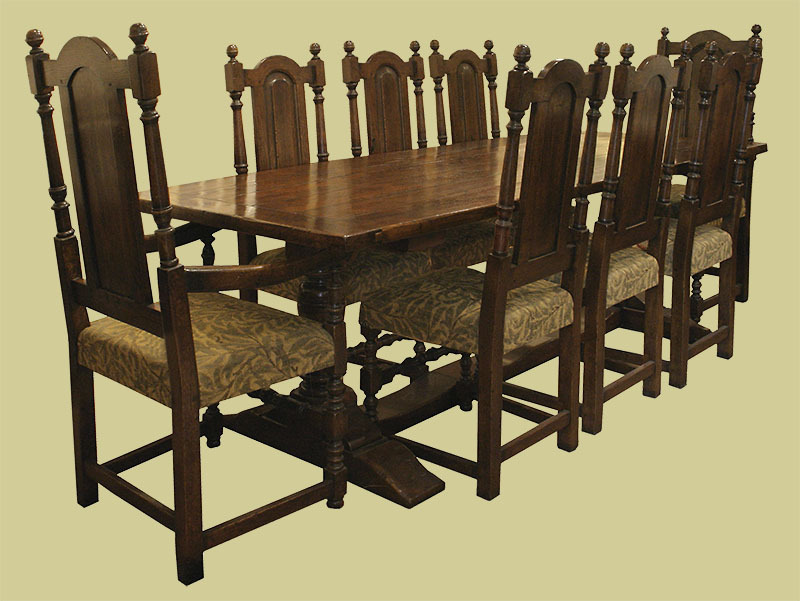 Utilizing our Berwick semi-bespoke range furniture, where you have a choice of pedestal style dining table, or refectory style, and a choice of solid seat chairs, upholstered seat, or fully upholstered, available as side and armchairs (carvers) in sets of 6 or 8. Whichever set fits your requirements, you'll save £100's from buying them as single items. 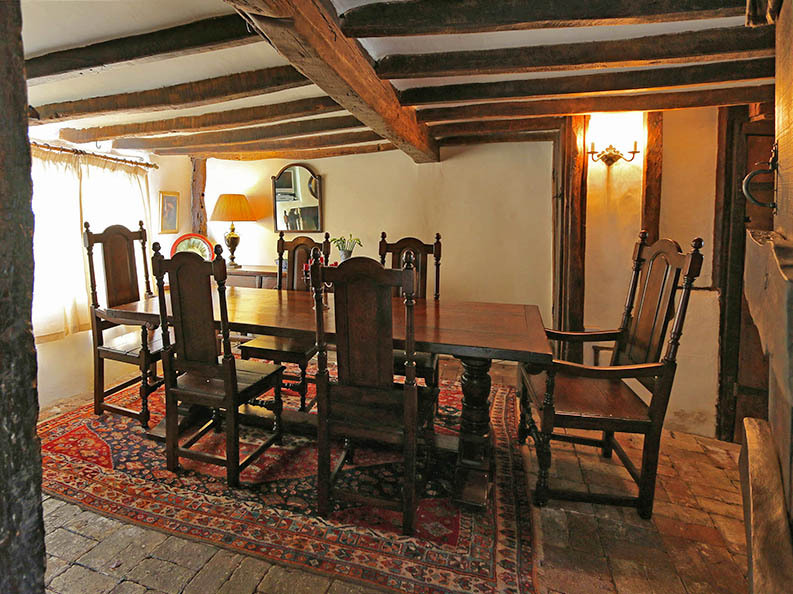 The photo below shows one of our sets, comprising of our pedestal style table, together with 4 solid seat side chairs and 2 carvers, pictured here, in the oak beamed dining room of our clients ancient Buckingham home. Below is just one of the package options, showing our pedestal table, as above, but with 6 sides and 2 carvers, this time with upholstered stuff-over seats.